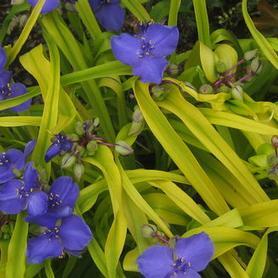 'Ogon' Sweet Flag has bright yellow stiffly upright leaves that are a vivid addition to a wet site in the shade. 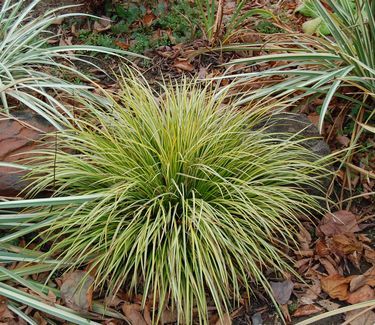 The clumps of Acorus 'Ogon' get larger with age. 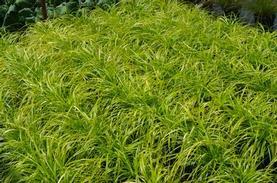 This Sweet Flag is evergreen so it provides great winter interest. 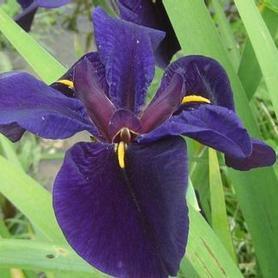 Introduced into the US by Barry Yinger. Per Diane Guidone formerly of Rumson, NJ, Acorus withstood salt inundation in the recent hurricanes really well.